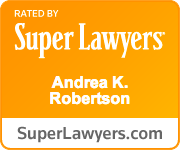 Superior Court Affirms Trial Court Ruling To Dismiss DUI Based On Unlawful Traffic Stop: A Superior Court judge agreed that the trial court was correct to dismiss a DUI charge. A trooper stopped the client's car after he crossed a white line on the roadway one time for only a few seconds. This driving did not constitute unlawful lane travel, and no lawful grounds existed to stop the client's car.